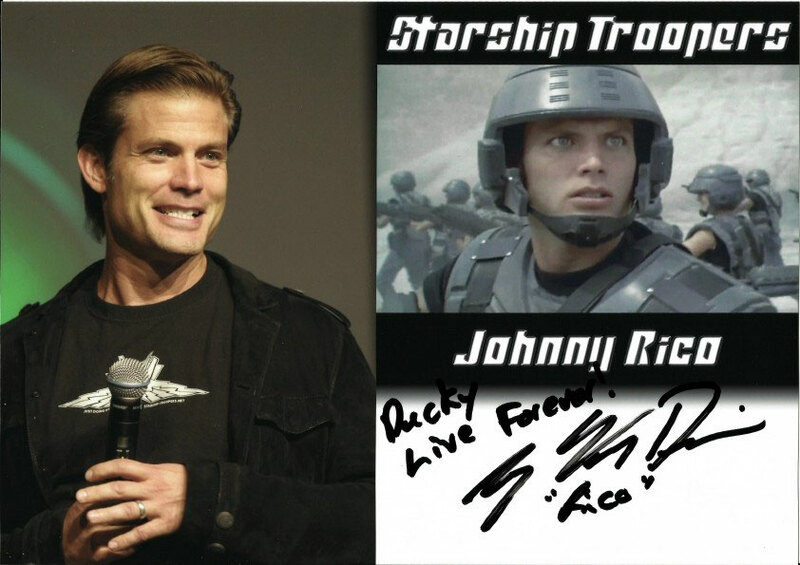 STARSHIP TROOPERS - duckys-autograph-worlds Webseite! 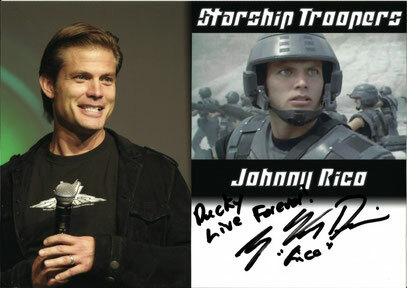 Casper van Dien, Mr. "Kill 'em all!". The dedication is a gag, an allusion to the movie quote "Come on you apes. You want to live forever?" Dina Meyer (sigh) - I know, you shouldn't tell a womans age, but in her case it's a compliment. It seems impossible - her being 44 already (in 2013) - as she doesn't look a day older than 30! The photo on the left was taken at a Con in the US in 2012 and she was amused and fascinated how the lights and shadows worked together to make her laughter lines look so distinctive - therefore the "fitting" dedication. Patrick Muldoon, another one who wanted to know why I'm called "Ducky".